WHY WAS THIS MAN NOT AWAITING HIS SENTENCE IN JAIL??????? Hi, to carry on from my opinion yesterday on the horrific events in Sydney and my opinion that seems to have been shared by nearly everyone on the street , WHY WAS THIS MAN NOT AWAITING HIS SENTENCE IN JAIL??????? It is a known fact that men who commit violence against women once will most likely do it again, and are also considerably more likely to commit other violent offences than men who have no history of domestic or family violence. We also know that men who commit acts of sexual violence will most likely go on to commit other violent offences. This guy had a history of both. Monis began committing aggravated sexual assaults against women who came to him for spiritual guidance in 2002. As far as we know, he violently sexually assaulted as many as seven women. SEVEN women whose lives WILL NEVER be the same. They will be SCARRED FOREVER. In 2013, Monis was accused of planning, aiding and abetting the brutal murder of his ex-wife while they were embroiled in a custody battle in the NSW courts. The 30-year-old woman was stabbed 18 times before being set on fire and burning to death. Can you get MORE Violent than that. ANYONE capable of have anything to do with such a heinous crime should have already been on prison forever as far as I am concerned. 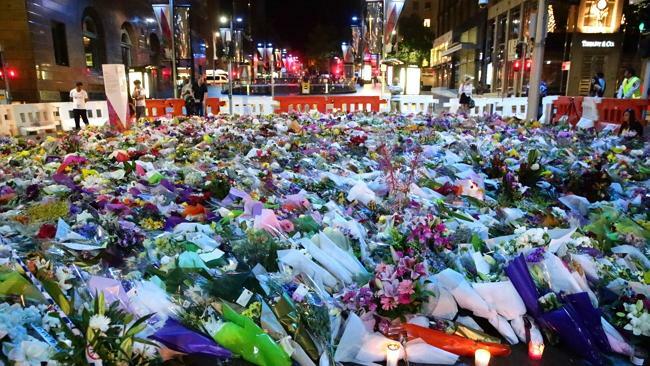 Monis had demonstrated a very clear pattern of persistent and escalating violence. 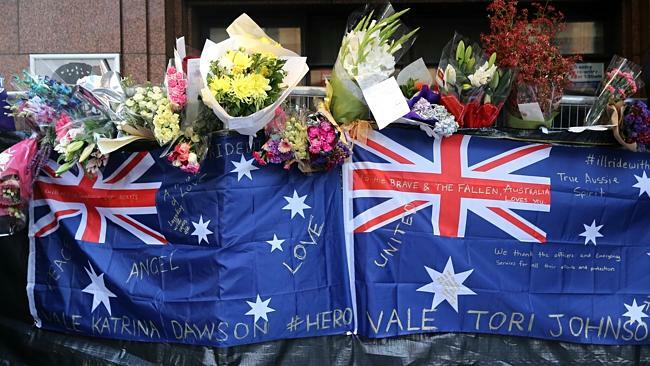 When Monis appeared in court in January of 2014 requesting bail for the second time – for the sexual assault charges – it appears Monis had committed both sexual violence and domestic violence of the utmost severity. Both of these violent offences made him very likely to re-offend. The comment made by the magistrate who granted Monis bail the first time – for the accessory to murder charge – is telling. He said Monis is not a threat to public safety because the only person he posed a threat to was his deceased ex-wife. Someone capable of stabbing and then burning the body, one doesn’t need a psychiatry degree to know, beyond the shadow of any doubt, that this person is NOT NORMAL. This assumption that Monis’ violence was limited to one woman and one situation denies a proven connection between violence against women and a series of other issues of public safety. It underlines an assumption that men who are violent towards women are not necessarily violent men. It is like violence against women is so accepted as something we DESERVE because we “emotionally” abuse men, or don’t do what they want. The entire so called JUSTICE system takes such a lenient attitude towards DOMESTIC VIOLENCE. Why does it even have that term? Why isn’t it just called VIOLENCE and CRIMINAL???? Whilst no legal system is perfect and things often fall between the cracks, in this case this guy wasn’t a crack it was crater. In news just in with all of his history he actually had a gun license. Failure to protect the public in this case falls straight into the hands of the Judiciary not terrorism. All violence is abhorrent, but this guy was in Martin Place yesterday because our legal system doesn’t think someone who has taken part in the things he was accused of should be penalised. He NEVER should have been out on Bail. His lawyer almost seemed to be sympathetic towards him. Oh the poor thing had nothing left to lose. Well the victims and their families have lost plenty, but poor Man Haron Monis, the system had pushed him so far he had nowhere else to go. Straight to Hell is where I hope the goes. With Christmas coming up all the crisis centres are filled, as this seems to be the season when the Violence towards Women and their Children seems to increase. These Violent Men seem to forget that it is the season when they should be keeping their children and wives happy and SAFE. The legal system seems to say Oh it is a season when these poor men are under more stress. Please be kind to your families. If you are under stress go the the gym and punch something. For those women in trouble there is help you just have to ask. STOP Excusing it. STOP letting these guys out.